ST. GEORGE — As part of our coverage of the midterm elections and to help voters get to know who’s running and what they intend to do if elected, St. George News presented candidates with a short series of questions, from sharing what they have learned from prior mistakes to what their big legislative push may be if elected. In this report, we look at Craig Bowden, Libertarian Party candidate for the U.S. Senate. Bowden is a small business owner, father of six and three-time author living in North Ogden. 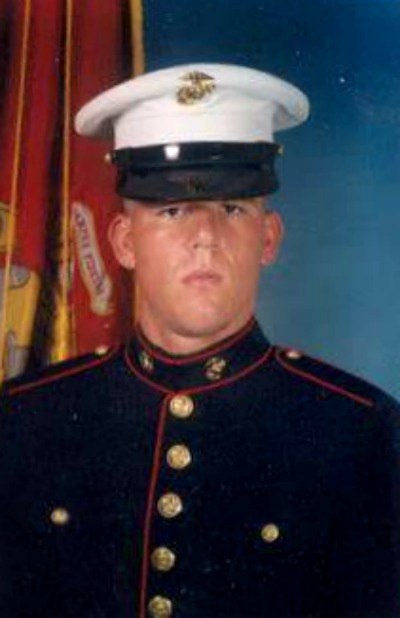 He is a veteran of the U.S. Marines and served nearly eight years in both active duty and as a reservist. He was deployed in Iraq, Kuwait and Morocco, which he said is what prompted him to adopt more libertarian views that focus on liberty and the right to chose for oneself without choosing for others. The questions were posed to the candidate during a telephone interview Friday. If elected, what would be the first piece of legislation you would sponsor or what law would you work on repealing or amending? “If I could change one thing, which would be the legacy I would leave as a senator, it would be to eliminate the federal income tax on wages,” Bowden said. Before the income tax was enacted, many of the country’s needs were taken care of primarily by consumption taxes, where certain products or services were taxed instead of taxing earnings. Bowden added that not only are wages taxed, but overtime wages are taxed at a higher rate, and many who work overtime do so to pay an unexpected expense, or to make ends meet, so it hurts the people who can least afford it. “If I could only get one thing done, that would be it right there,” Bowden said. Which one of these issues do you think matters most to Utah voters: education, housing or water? Bowden said water is the most important issue for Utah right now, as it is the second-driest state in the nation. He mentioned that in past years bills have proposed cutting off the water supply to the NSA’s Utah Data Center. Water is essential to help cool the facility and computing components for the center, a massive digital storage hub for the NSA and other intelligence agencies. Utah has only 13 inches of average annually precipitation, and irrigation accounting for more than 70 percent of the state’s total usage. Increased water use coupled with rapid population growth is not sustainable. Should Bowden be elected, he pledges to focus on a government that is accountable to the people of this country, and he will not participate in any perks senators and members of the House of Representatives have been afforded. He said he will only keep enough money to take care of his family while donating the rest to charity. As a noninterventionist on foreign police, Bowden said he is committed to limiting the country’s military involvement overseas, affirms the individual right recognized by the Second Amendment to keep and bear arms, is committed to ending the war on drugs and opposes civil asset forfeiture because it involves the taking of property without due process. He also supports the repeal of the Patriot Act to protect the privacy of U.S. Citizens. Further, Bowden said he is committed to keeping his constituents updated on his legislative voting history, as well as the reasoning behind those votes. Bowden said that he is an avid book collector and estimates that he has more than 1,000 books in his collection, many of which were purchased at various Deseret Industries stores. While you are considering who you will vote for (anybody but Mitt) you owe it to yourself and the State to take a look at the real Republican, Tim Aalders for the US Senate. I will vote for who I want to ..not who you say to vote for and if I decide to vote for Mitt Romney I will who died and put you in charge ? I hear ya not so much. We need somebody who will represent the state and our nation. Not somebody who will just be bought out by big corps/monopolies. Our two major parties have become too corrupt by this I believe. I like the idea of a third party stripping the blues and reds of their monopoly in politics. Or at least somebody that will go in and challenge the special interest power players. This is where people like Bowden and Aalders makes sense. Of course, there’s differences between Bowden and Aalders. We should also vote for who best represents our own personal beliefs. Voting for someone who authentically wants to work for the people and not be bought out is a major plus too! “The comments at the end of an online article completely turned my opinion around”, said nobody, ever.